Who would win in a fight: Nikola Tesla or Marie Curie? 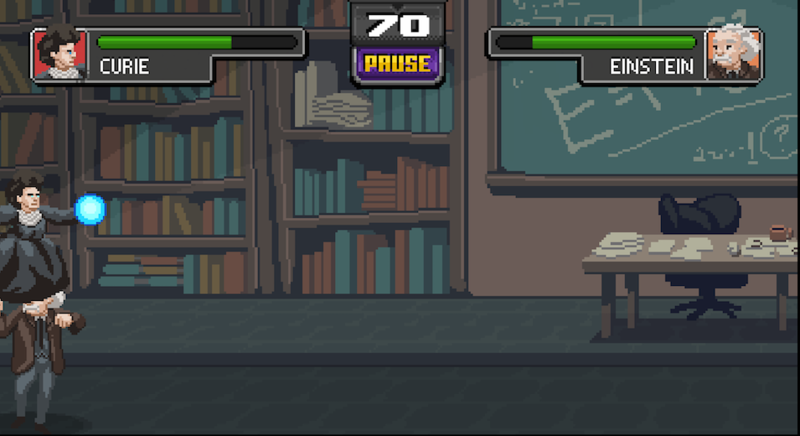 Now you can find out, in the game Science Kombat. 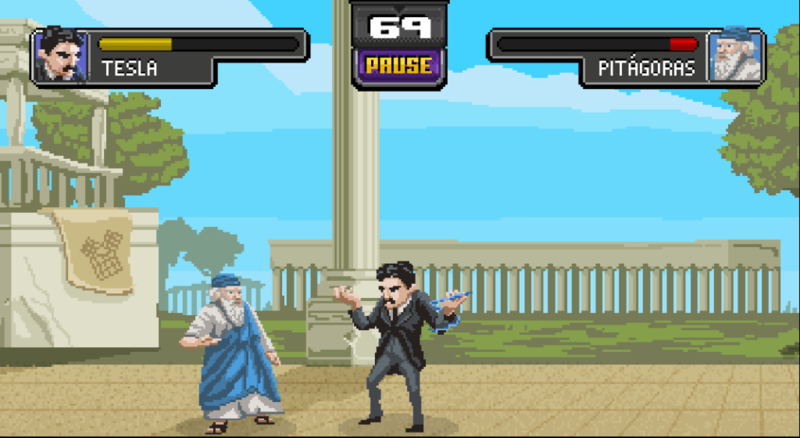 It’s only available online at the moment, and in Portuguese, but a mobile game is in the works. 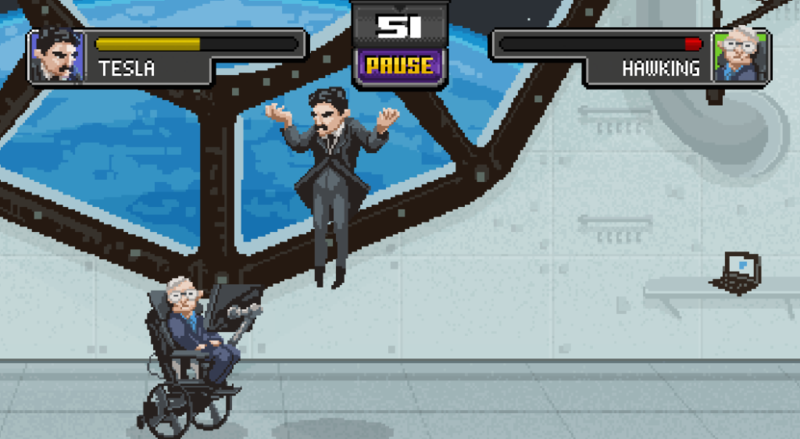 Below some screen shots of Tesla fighting Stephen Hawking, Tesla fighting Pythagoras, and Marie Curie fighting Einstein.